Friday, 18 January 2019, 7:18a.m. 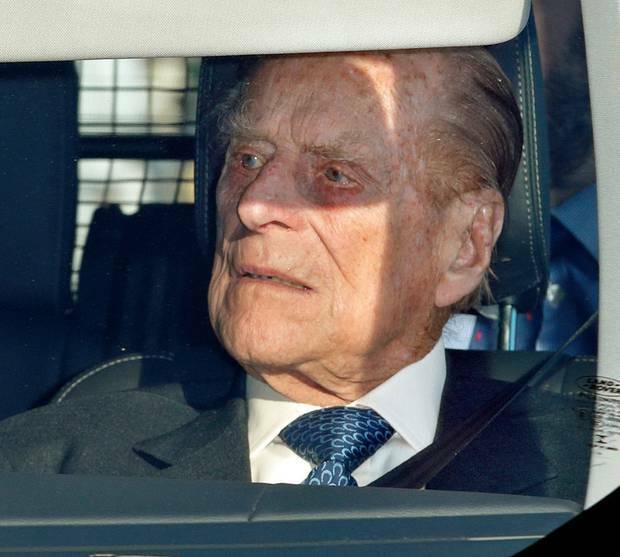 Prince Philip is "shocked and shaken" but unhurt after the Range River he was driving collided with another vehicle and flipped near Sandringham Estate this morning (NZ time). The Duke of Edinburgh, 97, was driving but was not injured in the collision, which took place close to the Sandringham Estate in Norfolk, Buckingham Palace confirmed. Police and ambulance rushed to the scene where two people, neither understood to be the prince, were treated for minor injuries. The duke returned to Sandringham and was checked by a doctor following the crash. The eyewitnesses said they helped the duke out of the vehicle. He was conscious but very shocked and shaken. Speaking with Newstalk ZB, UK Correspondent Phil Dampier told Tim Dower the accident happened just off the estate. "Now obviously, I am not going to say who was at fault but in some way shape or form there was a collision and the Range Rover the Duke was in overturned and miraculously he walked away from it." Dampier said the Duke is uninjured and resting with the Queen but there are questions over his driving. "He hasn't had a crash like this before and he does drive around the estate quite often and it's perfectly normal and he is actually a very, very good driver. So I don't think there will be a problem there, but obviously, if it turns out he was at fault for this accident on a public road then questions will be asked." It is unknown who was at fault for the crash, but Dampier said Prince Philip would likely fess up if he was at fault. A police spokesman said: "We were called to the scene at around 3pm to reports of a two vehicle collision. The elderly husband of Queen Elizabeth has become increasingly frail in his latter year, but is fiercely independent and still drives himself around the royal estates. Now officially retired from public duty, the prince was last spotted attending church with the Queen and extended family on August 19th. The Queen and the prince have been at Sandringham for several days and attended church on Sunday. The Duke of Edinburgh, 97, has suffered a string of minor health issues in recent years although he has remained largely mobile and independent, particularly given his advancing years. In 2015 Prince Philip sported a badly-bruised eye at a reception to commemorate the 800th anniversary of Magna Carta at Buckingham Palace.